The Smart Traveler: The Best Place to Ski in America! The Best Place to Ski in America! There is a joke that says that someone asked God why He blessed Brazil with no earthquakes, no hurricanes, no tornados, no natural disasters of any kind, and His answer was "Wait until you see the people I'm going to put there!" Growing up, there was one "blessing" that got in the way of my athletic development: NO SNOW! It'true, there is not one place in this huge country that has a ski resort. So in 1979 I learned to ski in Switzerland, more precise the little ski resort town called Valbella, close to the Italian border. My friend Paulo Rossi's family had a house there and I was invited to spend 40 days with them. Then ski became a passion and after that I skied in Bariloche, Argentina, Las Lenas, Chile (icy snow, not the best), then Stowe, Vermont (beautiful place - Trapp Family Lodge is a must - but icy snow as well), then Aspen, Snowmass, Keystone in Colorado, and I thought for many years that Colorado had the best snow and the best trails I've ever been. WRONG! In early 2009 we decided to go to Sundance Film Festival in Park City, Utah. Let me tell you, Park City is ski heaven! 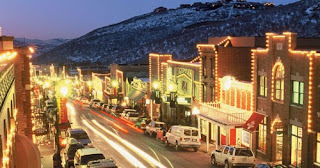 First it's a charming little town with a story beginning 135 years ago when Army soldiers discovered rich silver veins in the mountain above what would become Park City. Since that time, Park City has been home to a colorful cast of characters, set among silver mines, saloons and eventually ski lifts. In 2002 the city hosted the Olympics Winter Games and every year, in the middle of January, it hosts the famous independent film festival called Sundance, created by Robert Redford in 1978. It's very easy to get to Park City. You fly to Salt Lake City, rent a car and in 25 minutes you are in your chalet or hotel close to one of the mountains. There are plenty of hotels in Park City, but to have the full experience of the mountain life, I always like to rent a house close to the mountain. The site www.vrbo.com has a lot of properties listed by the owners, and that means cheaper and convenient. 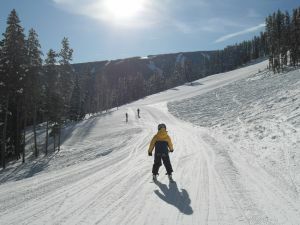 The ski mountains in the Park City are are The Canyons, Deer Valley and Park City. The trails are long, well kept, the views are breathtaking... you can ski for hours in the Canyons without going back to the same trail. So, keep in mind when planning your next ski trip - Park City, Utah is the place to be! You wont regret it! PS: On the way to Park City, make a stop at Bear Country Cookies (Former Ben's Cookies) at 158 South Rio Grande Street in Salt Lake City. I heard that they kept the recipes from the British cookie maker (the best cookie in the world!!) and if it's true, it's very well worth to try their delicious chocolate cookie! 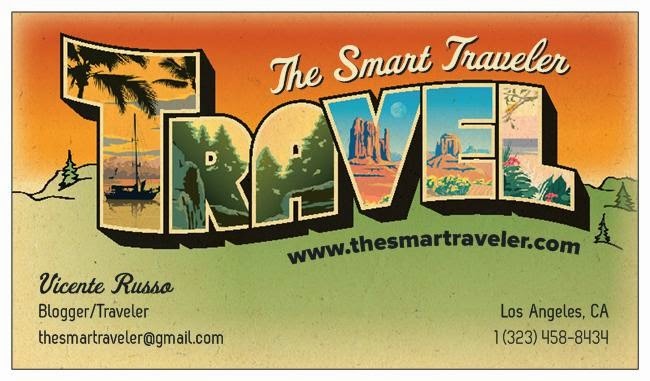 The Smart Traveler is signing off until January 2nd, when I will be back to start 2011 with a BANG!!! Safe travels everyone and Happy Holidays!